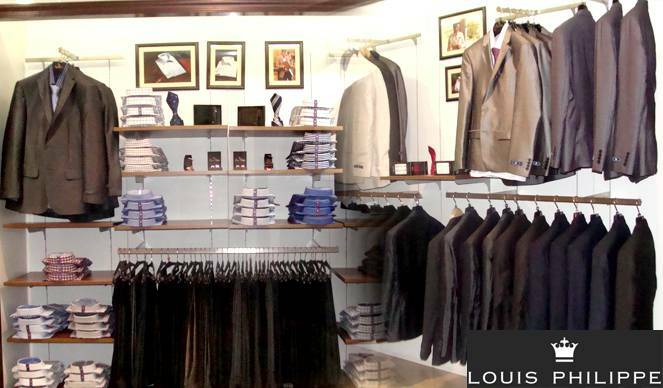 Louis Philippe is a trademark in suiting shirting and a hallmark of trust because we ensure that you get the best for your money that you paid. We are famed as most trusted and most prominent name in the world of suiting and shirting. We provide to our customers a very friendly service at our Celebration mall, Udaipur store so that you could be comfortable enough and decide best for you. Our fabric is very soft and as it was well furnished while the manufacturing time keeping in mind customers demand and ease. We provide absolute fittings for attire to our customers and also provide the fabric that would best suit on your personality keeping in mind the body type in mind our crafting and stitching of products brings difference from other brands as because we avoid unnecessary stitching. Our wardrobe menu includes formal and casual shirts in different design patterns as plain, checks strips, vertical strips, and all available in exclusive color ranges. Trousers and chinos of varieties like flat front, solid flat, textured flat , formal flat, slim fit, pleated formals. Formal suits and blazer are available in varied range and color, we also have a collection of winter wear which are one of our coolest collection our winter wears includes sweaters and sweatshirts of exclusive eye catching designs with attractive colors. We are one of the finest fabric producers and we ensure our customers leave satisfied. Now at your Celebration mall, all these coolest attire waiting for your arrival, you are going to remain open mouthed after viewing our collection.